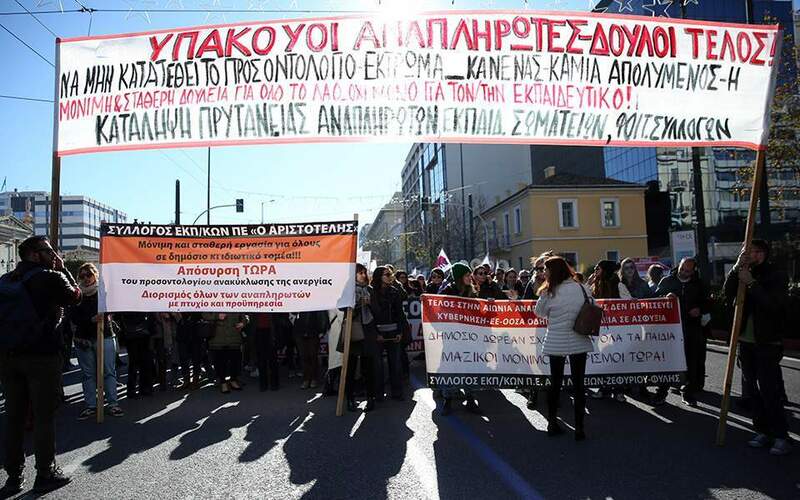 Hundreds of striking Greek civil servants, mostly school teachers, are marching through central Athens to protest proposed new hiring criteria for state school teachers. The left-wing Greek government has promised to hire 15,000 full-time teachers over the next three years, starting this fall. But unions say the hiring system is unfairly weighted against teachers who have been working for years on short-time contracts. They also want more teachers to be hired. The umbrella civil servants’ union, ADEDY, has called a 24-hour public sector strike Thursday to back the teachers’ demands, although the walkout mainly affected schools.